He rode the Vuelta three years ago and also won the Tour of Turkey climbers’ jersey that year riding at ProContinental level. It was to be his last season racing. But now former professional cyclist Juan Pablo Valencia Gonzales (30) is accused of smuggling and delivering cocaine by bike. He has been arrested by the police in Italy where he has been living. A former professional cyclist has been arrested on suspicion he was moving cocaine around hidden in the seat tube of his bike. Juan Pablo Valencia Gonzales, a 30-year-old from Colombia, was arrested this week in Montegranaro, Marche, Italy. And he is now charged with trafficking drugs from their alleged source in northern Italy to Montegranaro. 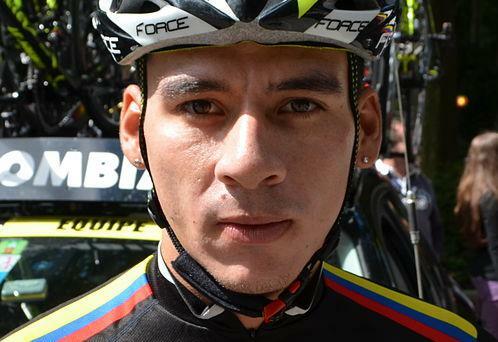 Valencia Gonzales rode for the Team Colombia ProContinental squad from 2012 to 2015. He does not appear to have raced since completing the 2015 season at Gran Premio Bruno Beghelli (1.HC) in Italy. In that final season as a pro he rode the Vuelta, his only Grand Tour appearance, and finished 87th overall. He also won the climbers’ classification in the Tour of Turkey during his final racing campaign. The bike, cocaine and other items found by the police as part of the case allegedly involving former cyclist Juan Pablo Valencia Gonzales. According to reports in Il Resto del Carlino Valencia Gonzales has been arrested and charged arising from a tip off to the Carabinieri. The anonymous information alleged that an unidentified foreign man was transporting cocaine into Montegranaro. 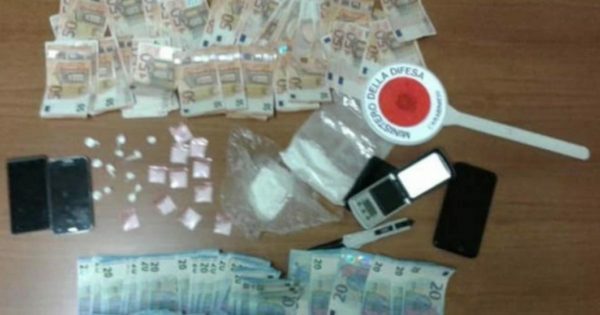 It is alleged he was resident in Bergamo, Lombardy, and brought the cocaine about 500km south east to sell it. Valencia Gonzales was moving around and apparently depending on the hospitality of friends for places to stay while in Montegranaro. But when he was tracked to one address where he was staying he was confronted after leaving the property on a mountain bike. It is alleged he discarded 17 wraps of cocaine, containing about 20g each, as he was being pursued. A further search of the house where was staying was then carried out by the police officers. Approximately 40g of pure cocaine was allegedly found as well as a substance to mix it with, a weighing scales and €4,000 cash. 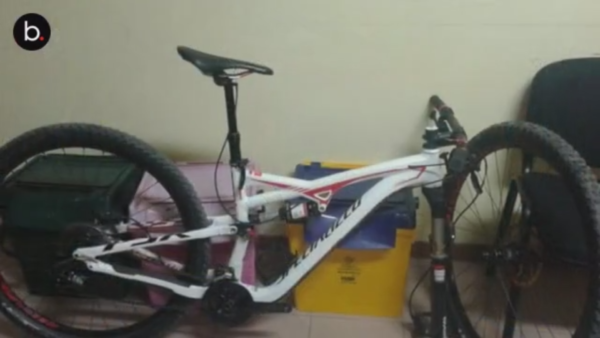 It is further alleged that he hid some cocaine in the seat tube of his bike and that he used that method to move the drugs and to make deliveries by bike. Some reports in Italy claimed that traces of cocaine were found in the seat post of his bike.